Conférencier: Vladimir Stojanovic , MIT, É.-U. Résumé: Nano-Electro-Mechanical (NEM) Relays are a new device technology with potential to fully replace the existing CMOS transistor technology, offering low-voltage operation, no-leakage and extremely sharp Ion/Ioff ratios. Due to the intrinsic imbalance of the mechanical and electrical delays in the NEM relay, their true potential is visible only at the circuit level and offers various opportunities for creative VLSI circuit and system design. In this lecture, we will introduce the basic device concepts and abstractions needed for circuit design. We will then illustrate several key circuit design concepts on variety of VLSI blocks such as logic, registers, memory and interface circuits (A/D, D/A), as well as show the experimental results demonstrating the operation of these blocks. We will conclude by describing the latest efforts on full system integration using these devices and address the scaling trends of these devices, comparing their efficiency with optimized CMOS circuits. 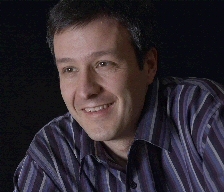 Note biographique: Vladimir Stojanovic is the Emanuel E. Landsman Associate Professor of Electrical Engineering and Computer Science at MIT. His research interests include design, modeling and optimization of integrated systems, from CMOS-based VLSI blocks and interfaces to system design with emerging devices like NEM relays and silicon-photonics. He is also interested in design and implementation of energy-efficient electrical and optical networks, and digital communication techniques in high-speed interfaces and high-speed mixed-signal IC design. Vladimir received his Ph.D. in Electrical Engineering from Stanford University in 2005, and the Dipl. Ing. degree from the University of Belgrade, Serbia in 1998. He was also with Rambus, Inc., Los Altos, CA, from 2001 through 2004. He received the 2006 IBM Faculty Partnership Award, and the 2009 NSF CAREER Award as well as the 2008 ICCAD William J. McCalla, 2008 IEEE Transactions on Advanced Packaging, and 2010 ISSCC Jack Raper best paper awards.